We are located at The Boardwalk, just behind the Hope Island Shopping Centre in Hope Island Resort. The boats moored in the picturesque marina provide a beautiful outlook for our dental practice. The combination of the location, our facility and the team ensures that your experience is always first class. Our contemporary facility is bright, airy and comfortable. Every aspect is geared to providing the best experience for our patients. The combination of the location, our facility and the team ensures that your experience is always first class. There’s no need to leave Hope Island, we are one of the Gold Coast’s leading dental practices. Dr Phil Jacobs has been in practice on the Gold Coast for twenty years and is highly regarded for cosmetic dental procedures as well as all general dental care. Did you know we were the first dental practice to be located in Hope Island? 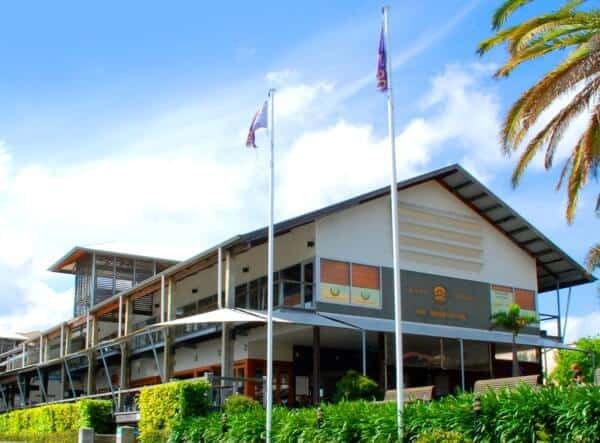 Having been here since 2003 we’ve become a trusted and convenient dental service for many Hope Island, Sanctuary Cove and other Gold Coast residents. If you are looking for an excellent dentist with modern technology our Hope Island location is within easy access to anyone on the Gold Coast or Southern Brisbane. Find driving directions easily on google maps or apple maps by searching for Hope Island Dental Care. Visiting Hope Island Dental Care is simple. We have reserved parking in front of The Boardwalk building from the Rialto Quay Drive entrance, or parking is also available at Hope Island Shopping Centre just steps away. Visit our practice, or contact us today. We at Hope Island Dental Care are ready to see you. Book now for a consultation and take the first step to lifelong dental health and well being. To find out more about how Hope Island Dental Care can significantly improve your smile, contact us today. Book now for a consultation and take the first step to lifelong dental health and well being.